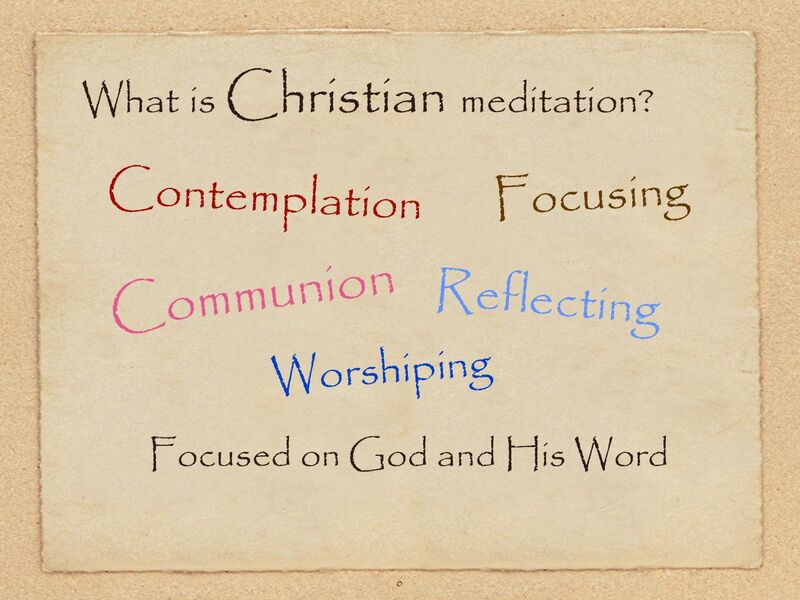 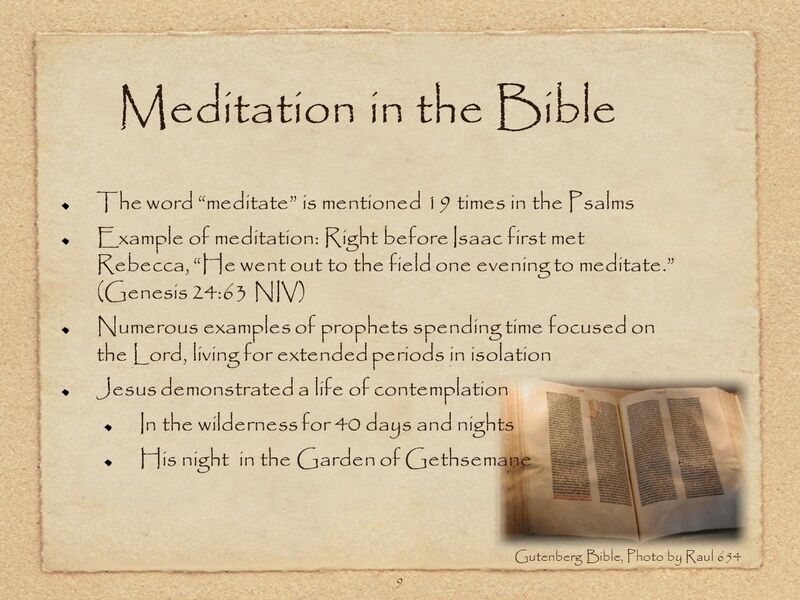 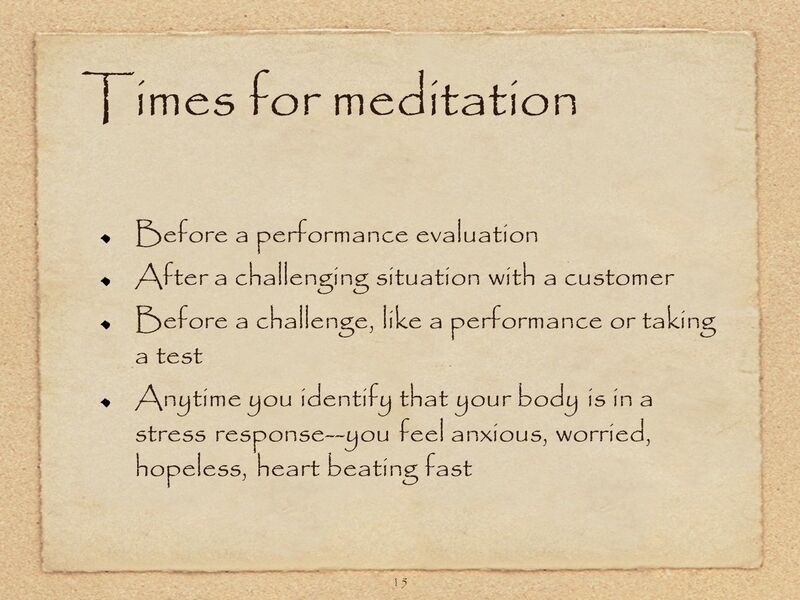 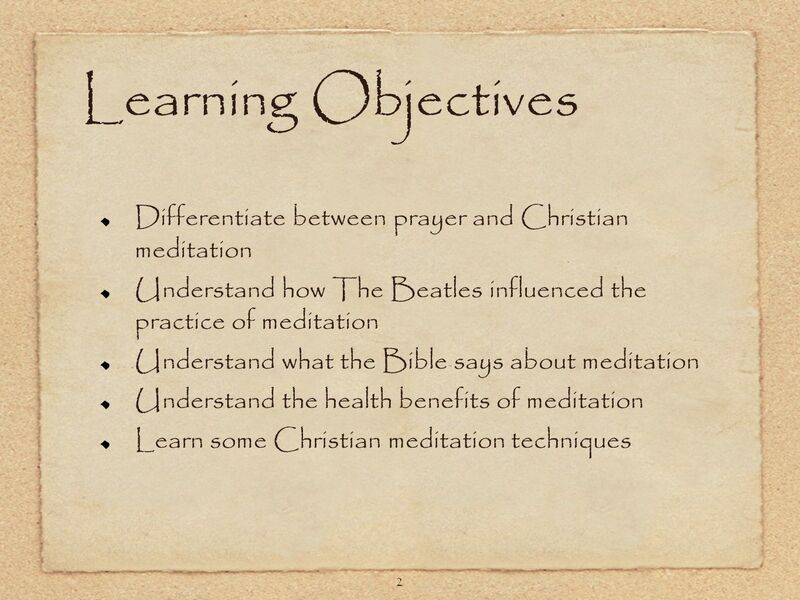 1 Christian Meditation Restoring the Lost Art of Christian Meditation to the Modern Church Materials by Susan Metoxen, Sole Proprietor of White Buffalo. 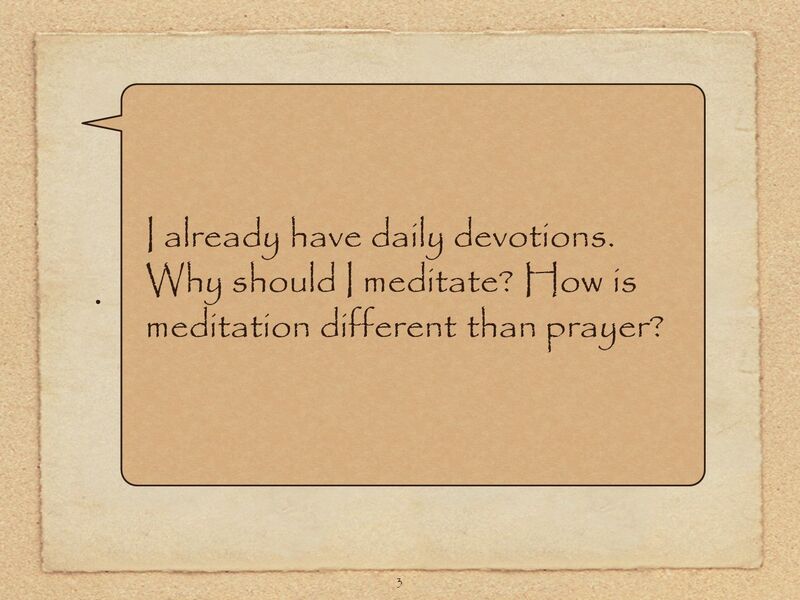 3 3 I already have daily devotions. 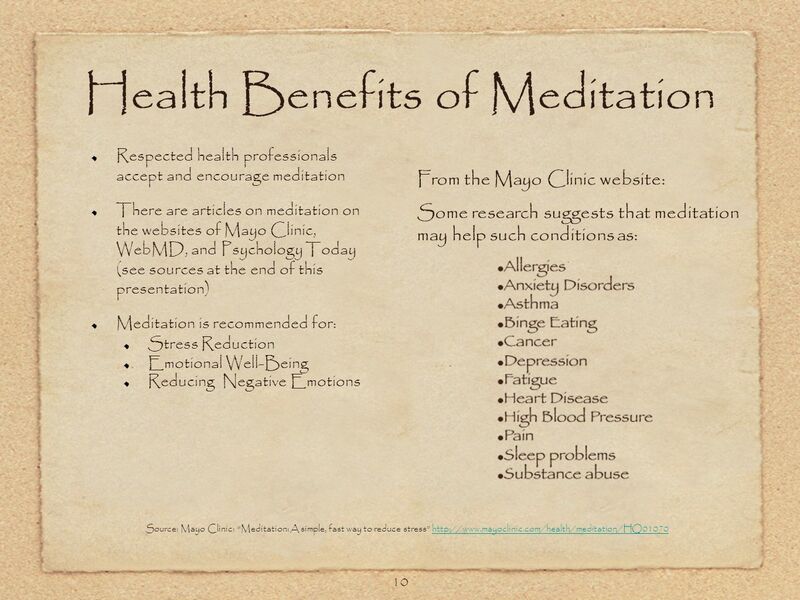 Why should I meditate? 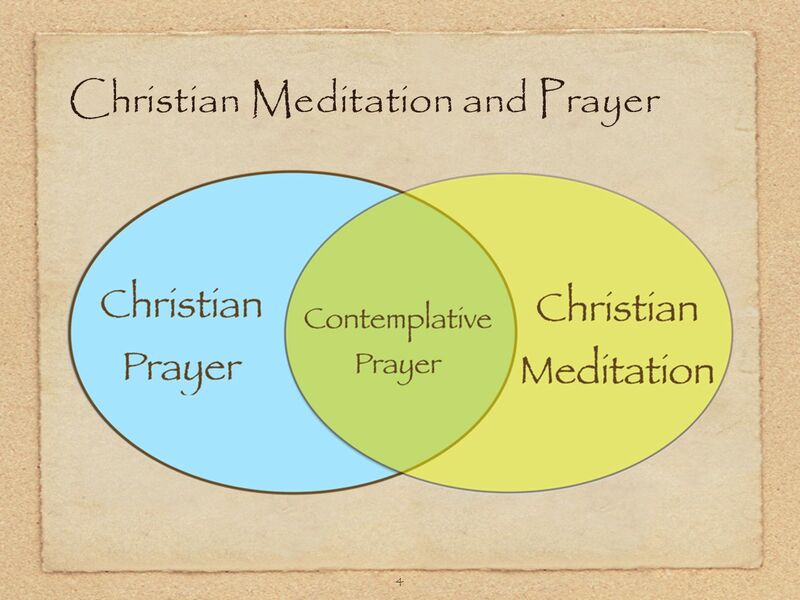 How is meditation different than prayer? 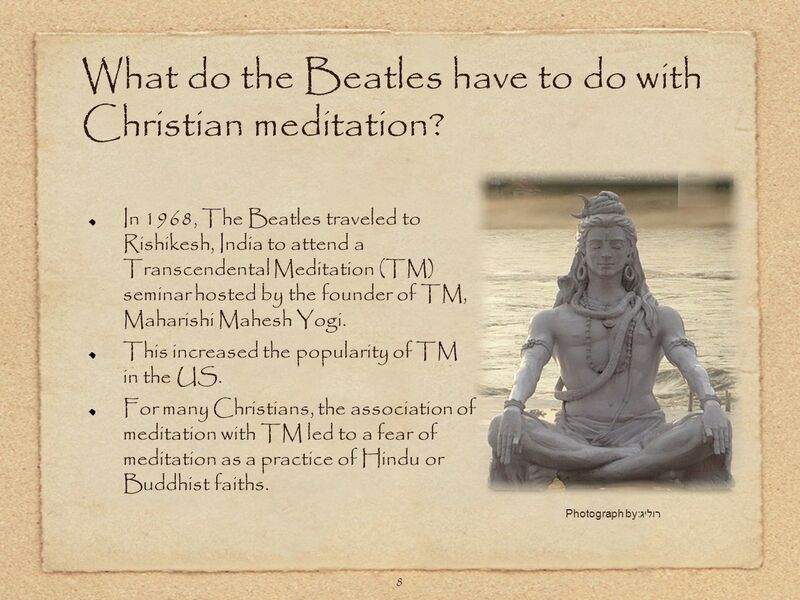 7 7 What isnt Christian meditation? 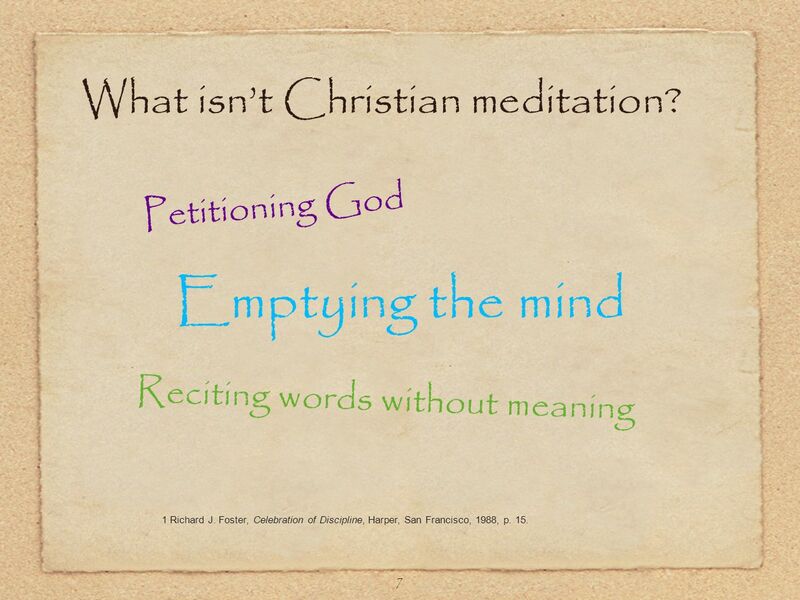 Reciting words without meaning Emptying the mind Petitioning God 1 Richard J. 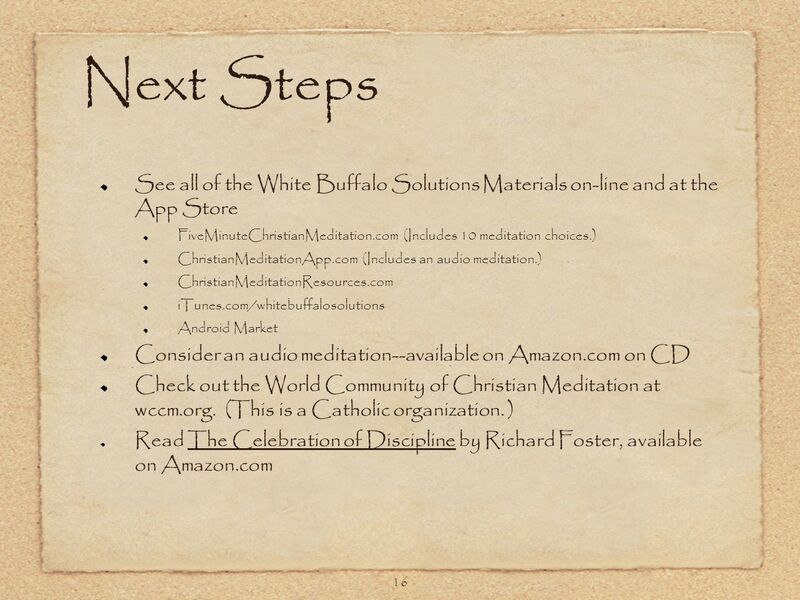 Foster, Celebration of Discipline, Harper, San Francisco, 1988, p. 15. 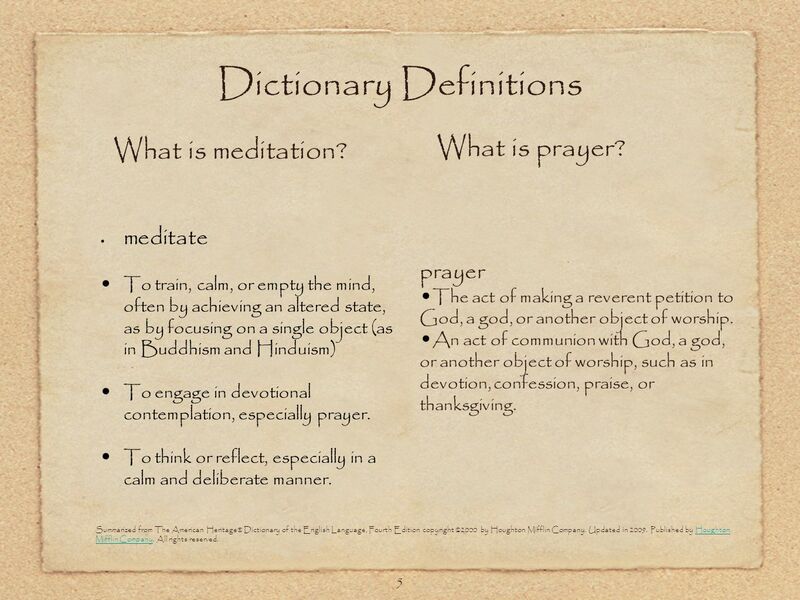 11 11 Why should we practice meditation? 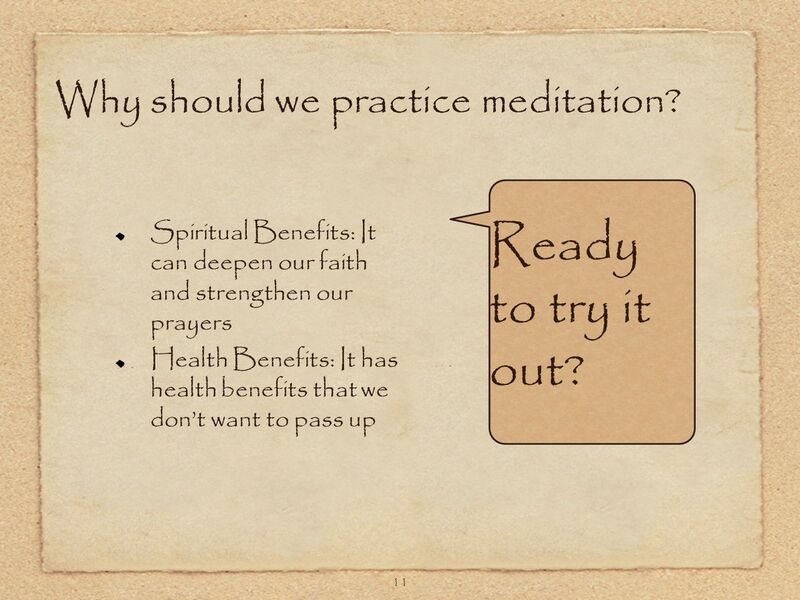 Spiritual Benefits: It can deepen our faith and strengthen our prayers Health Benefits: It has health benefits that we dont want to pass up Ready to try it out? 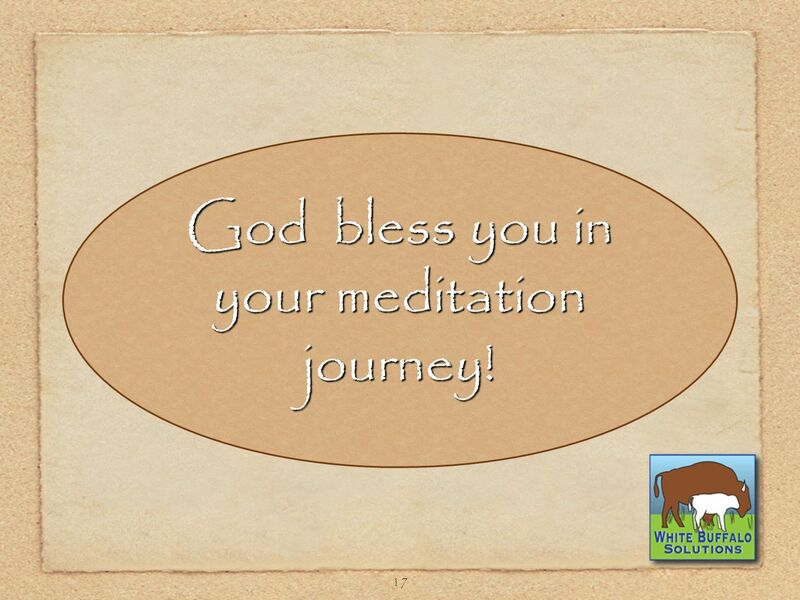 17 17 God bless you in your meditation journey! 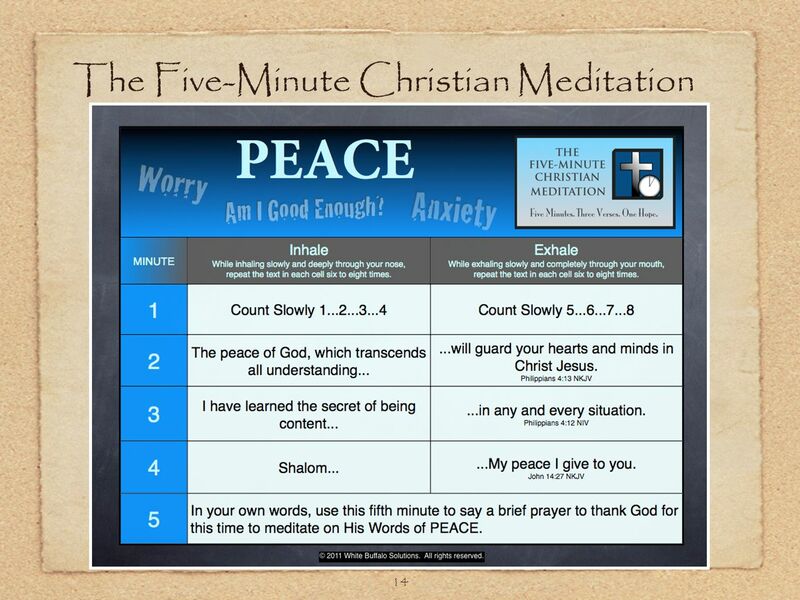 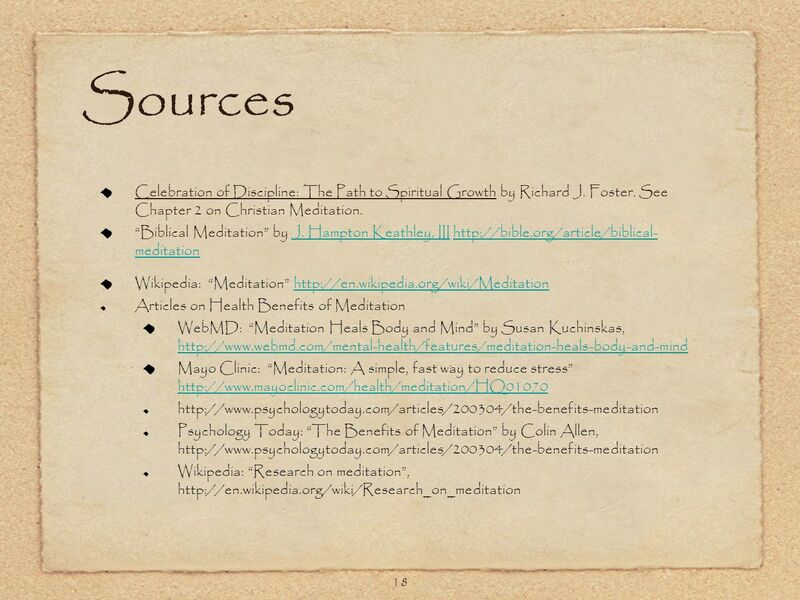 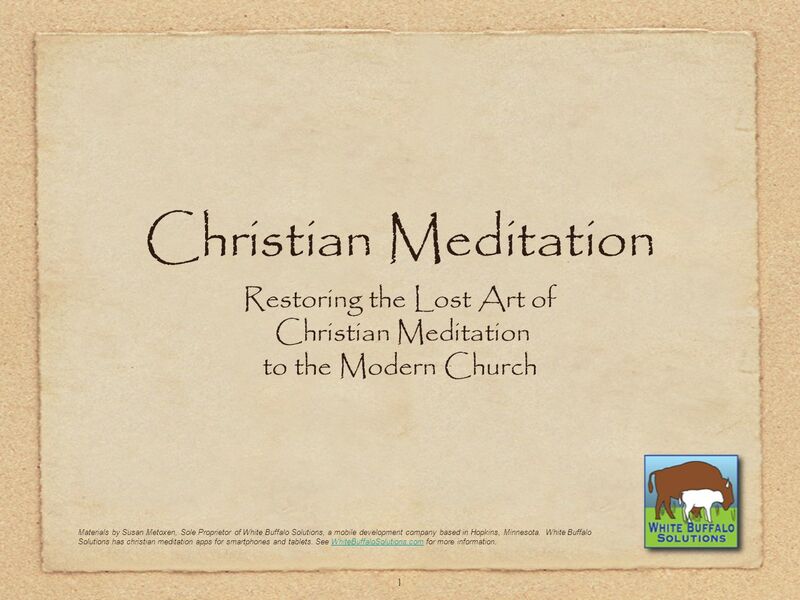 Download ppt "1 Christian Meditation Restoring the Lost Art of Christian Meditation to the Modern Church Materials by Susan Metoxen, Sole Proprietor of White Buffalo." 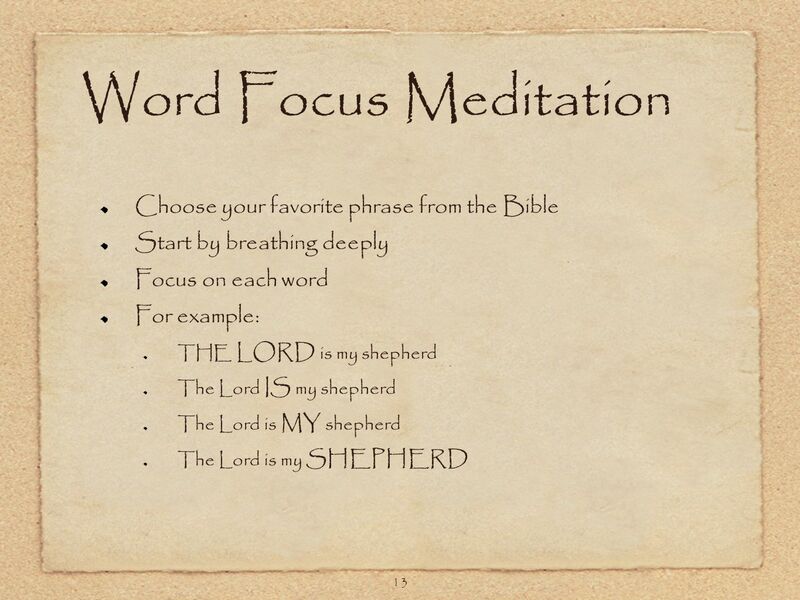 God Is Our Abundance (God Is Our Everything!) 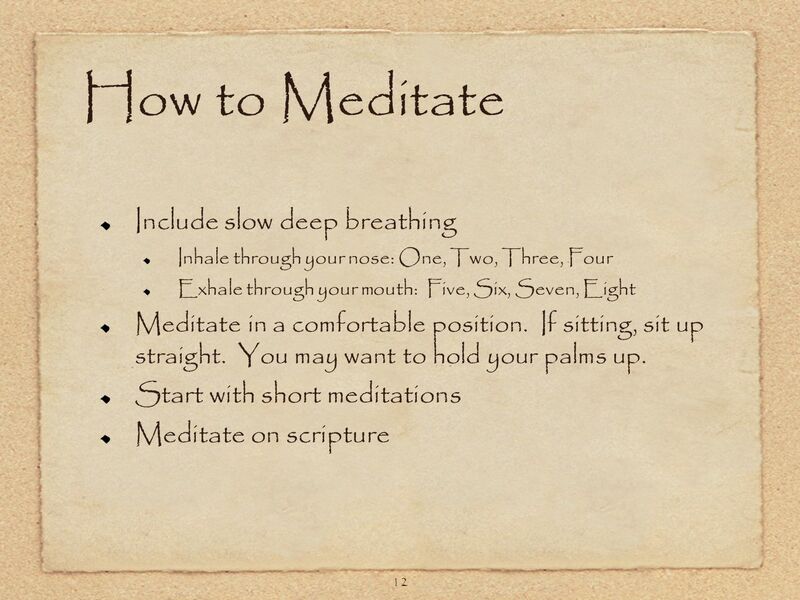 Lesson #12.